This site provides additional discussion questions and, for a number of the anthology selections, background information that may be useful. These resources are available in the form of a downloadable instructor’s guide in PDF. Access to this site is restricted to instructors only. 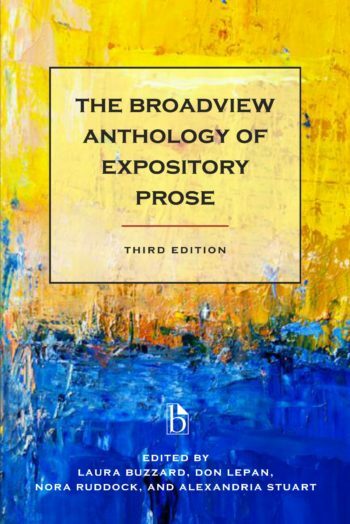 If you are an instructor using The Broadview Anthology of Expository Prose, or if you would like to review this website to consider it for course use, please contact your Broadview representative for an access code. If you’re unsure of who your Broadview representative is, please contact publishersreps@broadviewpress.com.